I never shared my other adventure with blogging friends in Maryland. And believe me, this one is too good not to share. You already know I went antiquing with Dee. Oh what high class fun we had! I was also able to meet up with wonderful Aunt Spicy and our mutual friend, JR (aka “The Dove Girl” thanks to the eccentric English professor who introduced us to James Joyce.) Sorry, I digress. We checked out the sheet selection. Aunt Spicy found some mint-condition Laura Ashley sheets just like the ones from her childhood. 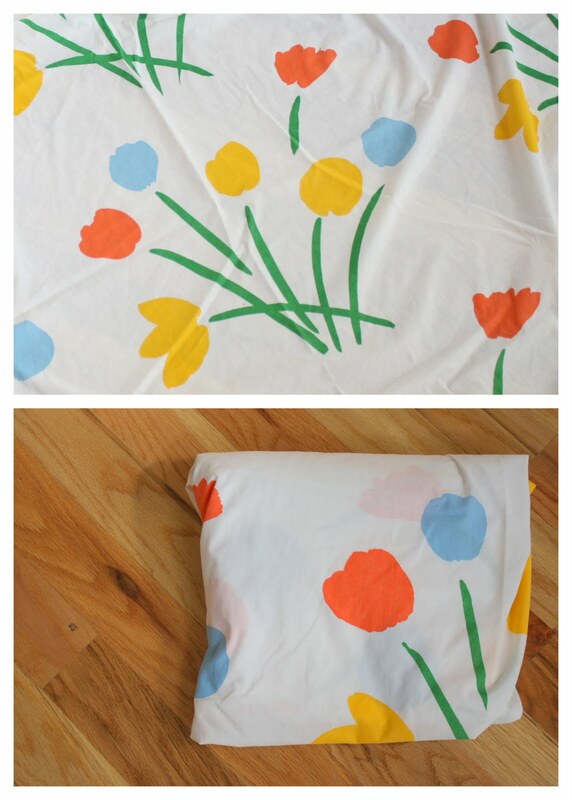 I used great restraint and only picked one vintage Marimekko poppy sheet in good condition. In all the merriment and Unique-initiation-wonder I didn’t really take many pictures. And the pictures I took aren’t great but there were still some worthy finds to share. 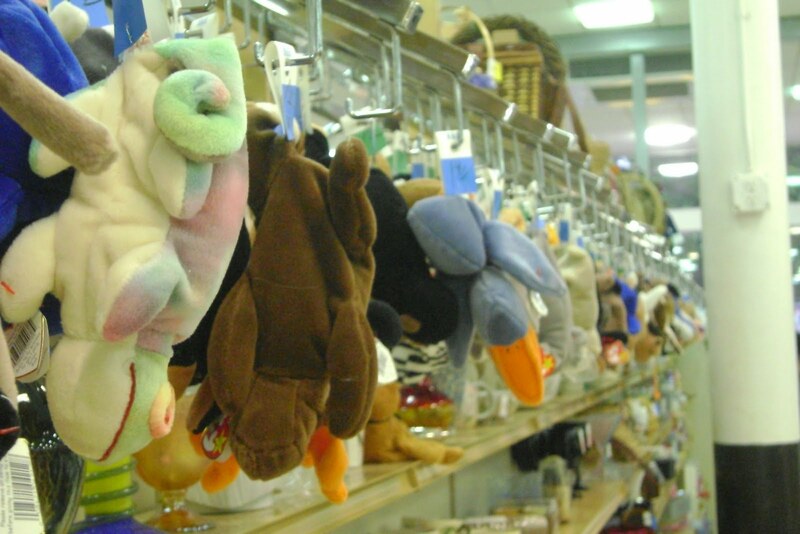 Like the fact that there were probably no less that 150 Beanie Babies to be had. Most with tags. I am not kidding. I’m so sorry to burst anyone’s dream who was hoping their investment in Beanie Babies in the late 90’s would one day pay for their child’s college education. I guess the Beanie Babies Bubble has burst along with the Housing Market Bubble. There were some GREAT finds in the furniture section including an awesome old desk and a wonderful vintage chest of drawers. If getting them home didn’t involve a plane ride, I might have bought both. Also in the furniture section was this sign that I loved equally as much. And guess what was in the same section as the bundles of fabric? I used great restraint and only made a few small purchases. (I’m trying to be a responsible thrifter these days and avoid buying stuff I really don’t need or won’t actually use.) Plus, I had already spent my wad that week. But I did have some sweet finds. A set of four cool Johnson Brothers bowls. They were only about $1.25 each and I just liked how they looked. When I got home I looked them up on Replacements Limited and they are listed there valued at $17.99 a piece! Sweet! Finally, these charming British Post Box salt and pepper shakers! How could I pass them by?? Many thanks again, JR and Aunt Spicy for the fabulous evening. Aunt Spicy also documented it here. And very quickly, while we’re on the subject of thrifting, I found a few great vintage sheets a little closer to home this last weekend. The one on top I found in what I’m almost postitive was an abandoned shopping basket. I hovered nearby for 15 minutes, waiting to see if anyone would claim it before I decided no one was coming back for this sucker. But if you were the one with the basket-that-seemed-abandoned at the Orem Savers on Saturday afternoon and were shocked to find your cool vintage sheet missing, let me know! I’ll totally return it! Holy flashback! I had those sheets on my bed as a kid too! Wow that brought back some memories. I wonder if my mom still has them? 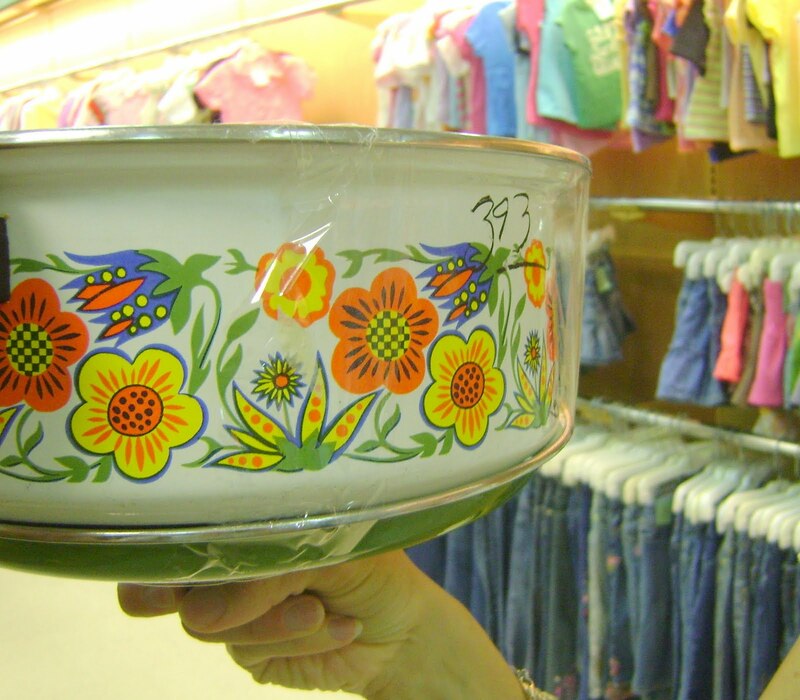 I went thrifting multiple times on my vacation – never thought I&#39;d see the day that I would enjoy it, but I did, immensely! I found some great vintage sheets, too! Good going! I&#39;m not too sure if I like what I had in childhood being classified as vintage. Nah. I really don&#39;t. That makes me old! I love Orem&#39;s Savers and Provo&#39;s DI! I haven&#39;t been there in years!! Oh, my best friend&#39;s mom made curtains from those sheets to match her bed. memories! I will definately have to find a thrift store now! Confession…I had so much fun that night I would fly cross country to go thrifting with you, you have a great eye for the gems! It really is made all the more fun with friends! So now I know you&#39;re a kindred spirit – I had the Marimekko sheets as a little girl too, and the comforter, and some random housegoods. And I still have them! I was thinking of bringing them out of storage. My sheets are crazy faded compared to those though. And I completely agree that it is disconcerting to see things we loved as children being called vintage!